Knowledge Management (KM) and Technology-Enhanced Learning (TEL) have attracted attention over the past two decades and are meanwhile considered as important means to increase individual and organizational performance. There is, however, a wide agreement that traditional KM and TEL models have failed to cope with the fast-paced change and critical challenges of the new knowledge era. 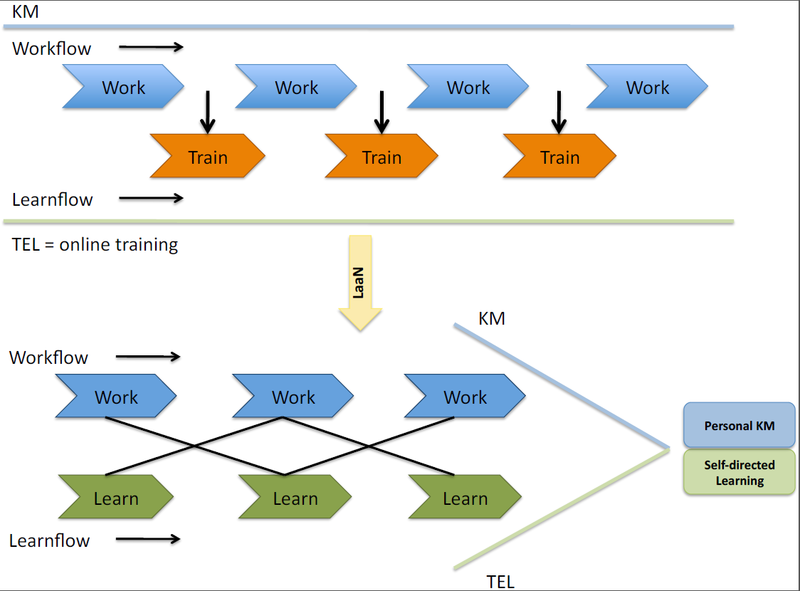 In this paper, we propose a vision for future KM/TEL approaches which aims to fulfill the needs of the new knowledge landscape by introducing the Learning as a Network (LaaN) theory as a new learning theory characterized by the convergence of KM and TEL within a learner-centric knowledge environment. We further discuss a possible implementation of the LaaN theory based on the personal learning environment (PLE) concept. M. A. Chatti, U. Schroeder, M. Jarke (2012) LaaN: Convergence of Knowledge Management and Technology Enhanced Learning. IEEE Transactions on Learning Technologies, 5(2), pp. 177-189.